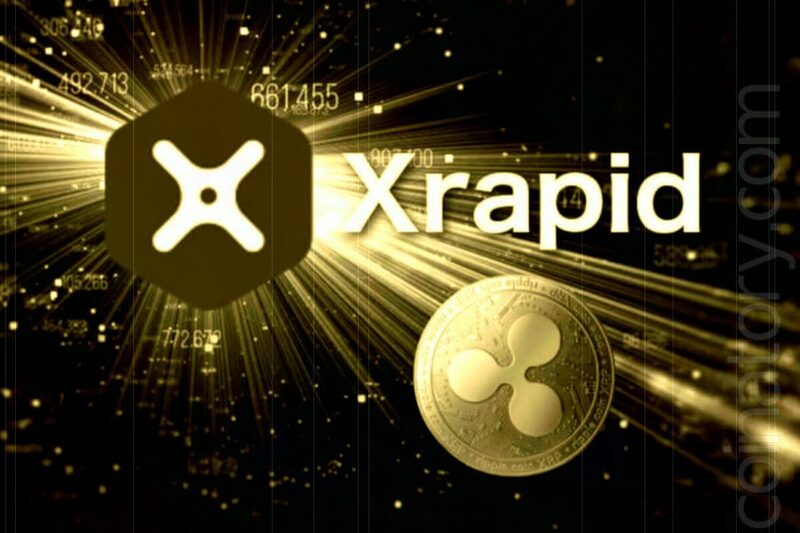 On Monday this week, Ripple, a San Francisco-based financial technology company, said xRapid uses cryptocurrency XRP as a “bridge currency” for cross-border payments, reducing costs and increasing payment efficiency by increasing liquidity. For example, a bank may wish to process a transaction from the US dollar to the Mexican peso. This process usually requires a pre-funded local currency account, but according to Ripple, if the US dollar is converted into an XRP coin, then transfer the funds overseas and convert them to Mexican pesos through the exchange of local digital assets at the other end, this process can be bypassed. Ripple CEO Brad Garlinghouse announced at the two-day Swell conference that it will be used by payment providers Mercury FX and Cuallix and partner financial company Catalyst Corporate Federal Credit Union. Mercury FX primarily helps customers send and receive international payments, Cuallix promotes remittances between the United States and Mexico, and Catalyst Corporate Federal Credit Union provides a range of financial services to approximately 1,400 credit unions, primarily in the western and southwestern United States. In the past, there are other companies have tried to use xRapid, including Western Union, Money Gram, etc. So far, startups have not publicly announced any bank trial xRapid, and said that large banks are unlikely to be the first banks to test or use it. However, Ripple executives said they still maintain partnerships with some of them. XRP is a cryptocurrency created by the founder of Ripple. Ripple owns most of its XRP, and its vision is to eventually replace the current cross-border payment infrastructure, including Nostro and Vostro accounts, and the aging SWIFT messaging system. Ripple announced the results of its first blockchain payment report in a keynote speech at the Swell Conference held a few days ago. The report shows that global payment based on blockchain is reaching critical mass this year, and organizations around the world are already seeking to integrate digital asset payment processes. More specifically, blockchain and digital assets provide a modern international payment track approach and can be as fast, simple, transparent, and reliable as cross-border remittances like mobile information. The development marks the first time XRP will be used in the commercial application of financial services companies and is seen as a key milestone for Ripple’s attempt to make cryptocurrency and underlying blockchain technology a part of the financial mainstream. This movement may attract many investors to buy Ripple coins. Garlinghouse believes that “tens of” banks will use XRP by the end of 2019. The company’s xRapid products are targeted at banks that transfer funds to emerging markets. Previously CNBC reported that Ripple gradually launched ripple news about xRapid. Bank of America PNC also reached a strategic cooperation with it. 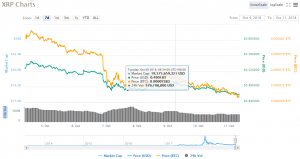 We can see from the xrp chart for the past week that XRP prices soared due to the positive news, but it didn’t take long to fall into a downturn. The financial technology company has partnered with many banks, but so far these partners have focused on testing and using their xCurrent products, which banks use to track payment information in real time, eliminating the need for counterparties to speed up the settlement process. Therefore, xRapid has to work with more banks to succeed, but this is not an easy one.